It might not be the latest Galaxy S smartphone, but there's no denying the Samsung Galaxy S8 is still among the most desirable devices from last couple of years – and it's now available at an amazingly deal-tastic price point. If you're in the market for a new handset and don't want to spend more than £500, Samsung has got you covered with its latest Black Friday discounts. The retailer has slashed the price of its SIM-free handset by £160 as part of its latest sales. The Galaxy S8 has been reduced from £609 down to £449 in the Black Friday deals. Considering the Galaxy S8 was still the flagship handset in the Galaxy S range this time last year – not to mention the reigning champion in our prestigious best smartphone buying guide, the latest discount is an unbelievably good price. The discounted Galaxy S8 is available in all five colour finishes, including Midnight Black, Orchid Grey, Coral Blue, Arctic Silver, and Rose Pink. It ships with 64GB of inbuilt storage, however this is expandable via microSD. In T3's four-star review, we praised the Galaxy S8's "brilliant display", "blazing fast performance", "superb" quality photos from the dual-camera set-up on the back, and fully-laden feature set, concluding that "it's an incredible smartphone." If you're looking for something slightly larger than the 5.8-inch AMOLED display on the Galaxy S8, the 6.2-inch Galaxy S8+ is also discounted for Black Friday. Like its smaller sibling, the S8+ has been discounted £160 from its SIM-free price. As such, the Galaxy S8+ is now available directly from Samsung for £539 in both its Single SIM and Dual SIM configurations. Like the Galaxy S8, this stellar deal price extends to all colourways, too, meaning you can choose from Midnight Black, Orchid Grey, Coral Blue, Arctic Silver, and Rose Pink. However, it's worth noting that the Dual SIM model is only available in Midnight Black and Orchid Grey, so frequent travellers will miss-out on the brightest colours. 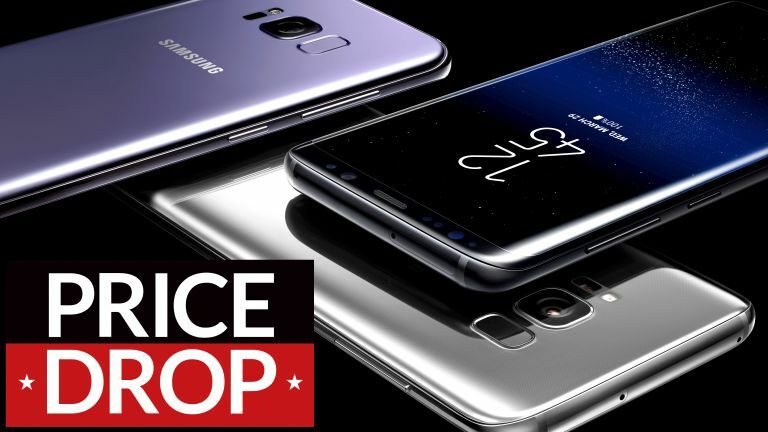 If you're in the market for a new Samsung handset, but neither the Galaxy S8 nor the Galaxy S8+ take your fancy, why not head over to our round-up of all the Samsung smartphones currently on offer for Black Friday to see what else is available?